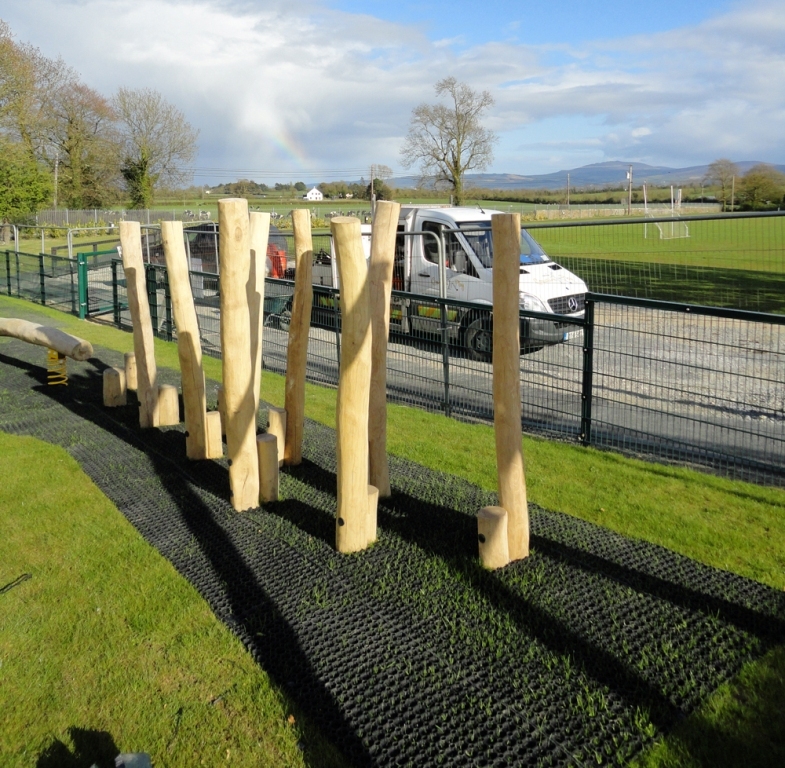 These simple and natural looking wood posts encourage the development of children’s coordination and balance. With foots holds at approx 1 ft above ground level children navigate from one post to another. The posts provide additional support as hand holds. The use of Robinia “crooked” wood allows the piece to blend naturally into park and wood land areas.